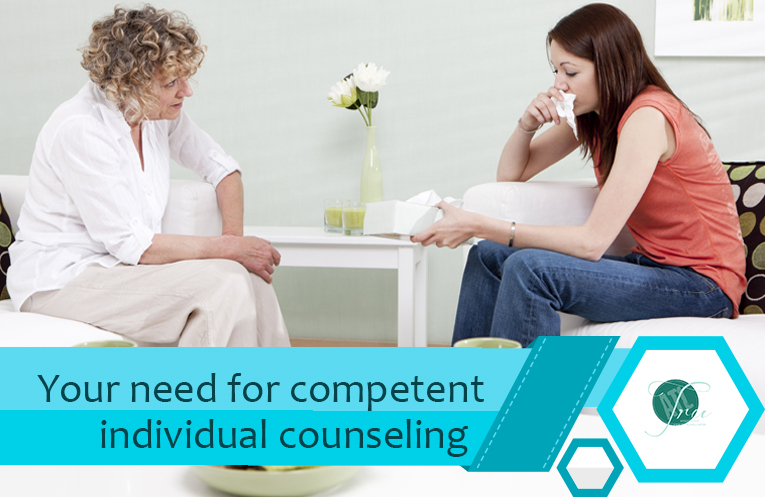 Why Does One Need To Opt For Individual Counseling In The First Place? Stress, pressure, responsibilities, speed and an array of other factors are part of this modern life and dealing with all of them is crucial. The problem is, not everyone is capable of handling these affairs without problems. Hence, mental health issues are rising all over the world. If you have been finding things to be more difficult than usual or feeling like needing help or someone has suggested so, then it is quite possible that you need Individual counseling. Getting A Deeper Understanding – If you are wondering whether you truly need psychiatric help or not, then it is time to delve a little deeper and look for problems that you may have been experiencing. It is true that, unless you are trained and experienced, understanding psychological problems, is not only difficult but can be dangerous as well. So, instead of trying to diagnose the issues, you should concentrate on the symptoms. For instance, you should look carefully to find out if feelings like anxiety, hopelessness, depression, and such are plaguing your mind. If that is the case, then it is time to seek and opt for Individual counseling. The Reasons For Therapy – Despite knowing about the above-mentioned issues and feeling their constant presence, it is possible that you do not think that the problem is a serious one and if that is the case, then looking deeper will be required. There are various reasons due to which one may need therapy such as personal trauma, loss of a loved one, major life transition, or the simple need to know and understand one’s own self. Whatever the reason is, if handling emotions or the lack of it is becoming harder than ever before, then it is time to seek professional help. As, certain stigmas are associated with the subject of psychiatric therapy, counseling, and mental health, you need to deal with and overcome them before getting into the process of healing. To enjoy these benefits, heal properly and take the reign of your life into your own hands, seeking the help of a competent, experienced and trained therapist is always the best choice.